Q: Who is our bank? A: The bank we work through is called Driven Financing Services. They are a local bank who is willing to help our our clients even if they have very poor credit, or even no credit established at all! Q: What do I need to get financed? A: You need to be employed, bring your most recent pay stub, valid driver’s license and insurance. 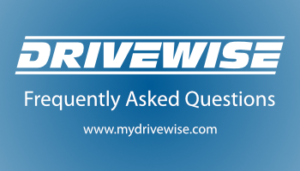 With those item we can usually get you approved for one of our reliable DriveWise vehicles. A: If you have bad credit or no credit you are good to go here because that is what we specialize in. You’re in the right place! Q: How long are your loans? A: Our bank is a short term loan bank. 2-4 years is very common. We want to help you build or rebuild your credit quickly! Q: What do I need for a down payment? A: Typically we are able to work with very low payments, and in some cases we can get you financing with no down payment. We will do everything we can to fit a reliable DriveWise vehicle in your budget.